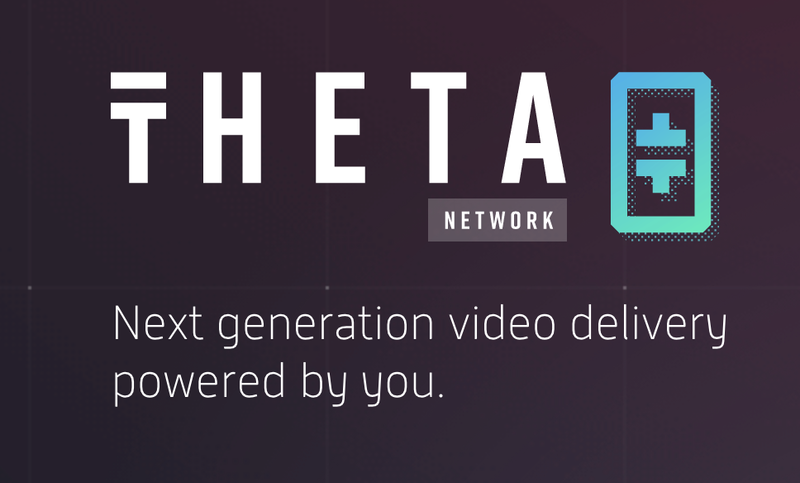 Theta as an infrastructure play — we are not building a new video platform, but a new content delivery network that can power video platforms (existing, or new decentralized ones). We understand that each platform has their own business model and structure whether premium content, ad-supported, subscription, etc. We aren’t dictating how that will work to our partners as much as providing them a protocol with which they can operate their platform more successfully. We have a very strong founding team, led by our CEO Mitch Liu and CTO Jieyi Long. Mitch has a long history in media and entertainment, dating back to his undergrad research at the MIT Media Lab. He later cofounded mobile ad company Tapjoy which he grew to $100M annual revenues, as well as Gameview Studios, which was acquired by Japanese gaming company DeNA. Jieyi was previously cofounder/CTO of MadSkill Game Studios and was an R&D engineer at Synopsys software security company. Prior to that he received his Ph. D in Computer Engineering from Northwestern, studying distributed systems among other areas. Titles and degrees aside, the big differentiator with the team is they have experience running multiple venture-backed companies with successful exits. They know what it takes to build successful software companies and have a track record to back it up. Theta and its parent company SLIVER.tv are backed by leading investors in the corporate (Sony, Samsung), media (BDMI, CAA), and crypto sectors (FBG, Node Capital, DHVC). The Samsung relationship in particular has been a critical one for adoption of the Theta Network. SamsungNEXT, the VC arm of Samsung that invested in SLIVER.tv, has introduced us to many business groups within Samsung and helped us understand where best Theta can integrate. We recently launched a testnet channel on the Samsung VR website after working with their team out of Dallas since the spring, and we have met many times with Samsung Electronics teams in Seoul and at Samsung HQ in Suwon. There’s some promising leads on that end that we may be ready to discuss publicly soon. Thinking about the future, do you have any roadmap with relevant upgrades or partnerships? We are set to launch the Theta mainnet on March 15, 2019. The source code has already been released to our GitHub (https://github.com/thetatoken) and is actively being tested on the Theta testnet, which is live on SLIVER.tv, MBN (geofenced to Korean IPs), and Samsung VR. We expect all three to integrate with the Theta mainnet at or soon after launch. We also have several other partnerships with video platforms in the works, including CJ Hello (Korea) and several other unannounced. Beyond that, key roadmap items will be releasing a universal relayer client (so that users can share video on multiple platforms, not just one they are watching) and expanding beyond video delivery to use cases for all content/data that could benefit from P2P distribution. Our streaming protocol has been live in web integrations for months, but we’re particularly excited about launching our first mobile client, targeting January 2019. Leveraging millions of mobile and desktop devices together into a mesh network for sharing data is the long-term vision of the project. What’s the added value of Theta Network in comparison with other competitors ? Compared to existing content delivery networks (CDNs) like Akamai or AWS, Theta is differentiated by the introduction of a P2P mesh network with token incentives, to reward users and incentivize them to reduce bandwidth expenses. Theta isn’t the first P2P CDN out there; the tech has been proven to work in the past, but the business model of previous P2P CDNs failed because users had no incentive to contribute to the P2P, so it never became robust enough to deliver video effectively. Compared with other blockchain CDN projects, Theta distinguishes itself by being integrated with SLIVER.tv’s 3M monthly average users on day one, and top partners like Samsung VR and MBN, the largest business news channel in Korea. We’re hyper-focused on user adoption and making the process of using the protocol as simple as possible. For users that means you can start sharing bandwidth as soon as you hit the page of the video you are watching — no client download or extension download needed! For video platforms, it means making our integration on the back end as simple as possible, and providing developer tools for a variety of use cases and operating systems. What are the use cases you are looking to cover? Initially, we are focused on creating a mesh network for live streaming video delivery, followed by Video on Demand, and finally expanding into any data delivery use case that could benefit from using a peer-to-peer mesh network for distribution. Desktop web applications are live in testnet form, and we’re expecting to launch our first mobile integration around January 2019. Going forward, it’s not a huge leap to consider Android-based smart TVs, IoT devices, etc. that run on similar software. In all these cases, the distributor of content can reduce their costs and increase user retention/engagement, while the users are rewarded with tokens for sharing content. How are you aiming to provide scalability to your service? The Theta protocol introduces an off-chain “Resource Oriented Micropayment Pool” that is purpose-built for video streaming. It allows a user to create an off-chain micropayment pool that any other user can withdraw from using off-chain transactions, and is double-spend resistant. This Layer-2 solution allows an effective transaction throughput far higher than existing on-chain only methods. 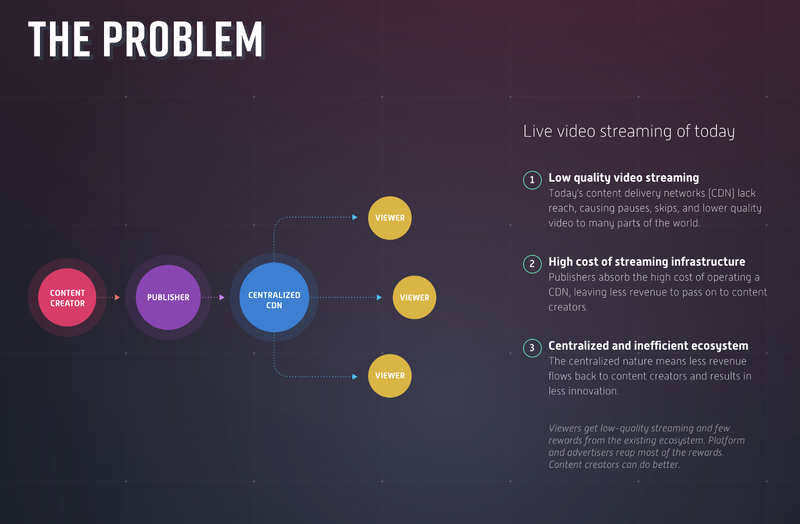 This is a necessary step until transaction throughput reaches a level that can support millions of concurrent viewers, and one that is well-suited for our content delivery use case. 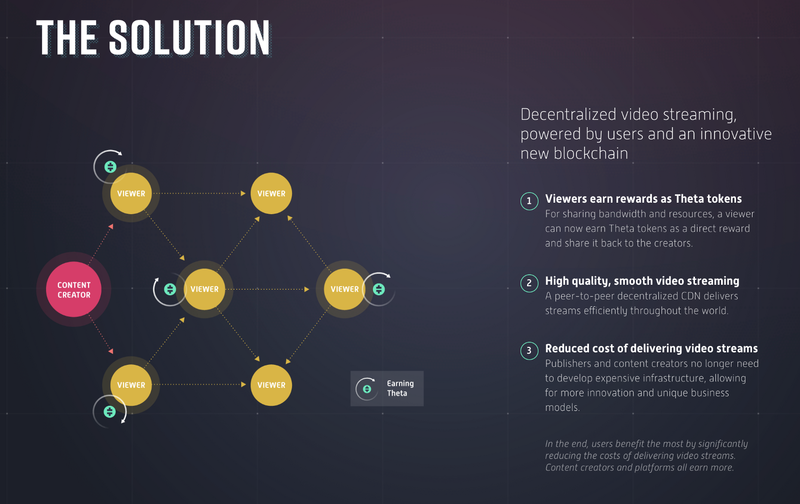 While some major transactions need to be onchain at all times (like significant value transfers of Theta tokens for staking, for example), most microtransactions for video segments are fractions of a penny in value — the security tradeoff from batching these micropayments offchain is acceptable, as long as they are reconciled onchain periodically. 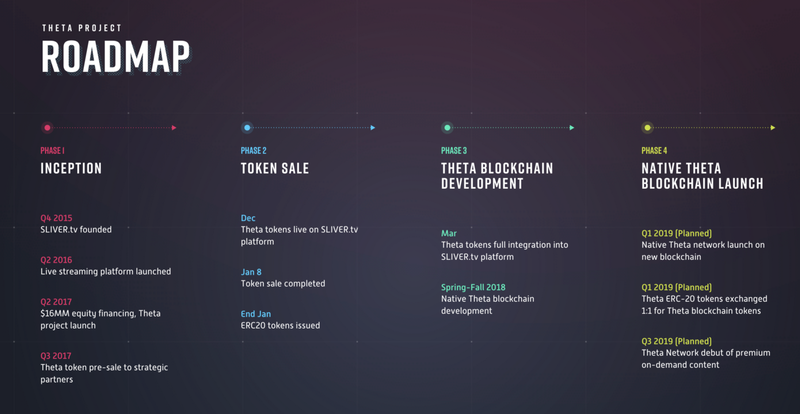 Evaluation of the current scenario for Theta Network and the blockchain industry. The blockchain industry is in a strange place right now — the pace of development progress is as strong as ever, but markets are not reflecting that and many mainstream media sources are ready to write blockchain’s obituary. Nouriel Roubini is having a field day on Twitter every time the price of cryptocurrencies drop, as if that’s the only (or even primary) metric by which we should be judging progress. In general, people should stop F5-ing CoinMarketCap for a while and focus on building interesting projects that users really want. As for Theta in particular, we think one of the key factors in blockchain moving forward is creating killer apps that mainstream users can easily see value in, so we’re focused on building a product that’s easy to use, has a simple UI, and provides immediate benefits to users. We’ve helped our partners launch live channels on Samsung VR and MBN on our testnet that users are really excited about, and once the mainnet launches and they are earning real token rewards, we expect user engagement to skyrocket.